Posted on Wednesday, April 22nd, 2015 at 10:00 pm. Subscribe to the comments feed. Both comments and pings are currently closed. Post on your own blog. 1. Strip 1 inch from both ends of your insulated wire, using the wire stripper. 2. Wrap the insulated wire around the stainless-steel object multiple times without overlapping the wires; form a coil around it. Leave enough wire to easily reach your battery. 3. 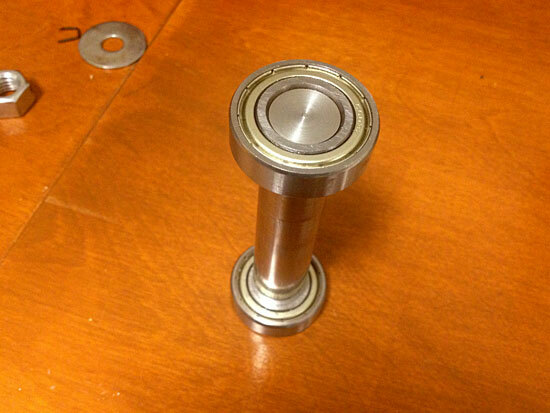 Place the object to be magnetized on an insulated surface, such as wood, rubber or cement. Don’t hold the object while magnetizing it. 4. Connect one end of the wire to the positive terminal of your battery. Depending on the battery type, you will wrap the bare wire around the terminal and screw down the connecting cap. 5. Put on your safety glasses. Hold the other end of the wire with the insulated needle-nose pliers. Brush the bare end of the wire against the negative terminal of the battery. The battery will spark when you do this. Repeat this action three to six times. 6. Disconnect the wiring from the positive terminal of the battery. Unwrap the wire from around your stainless-steel object. It is now temporarily magnetized. Thanks! I’ve actually got an alternative idea in mind, which solves connecting it to the platter. 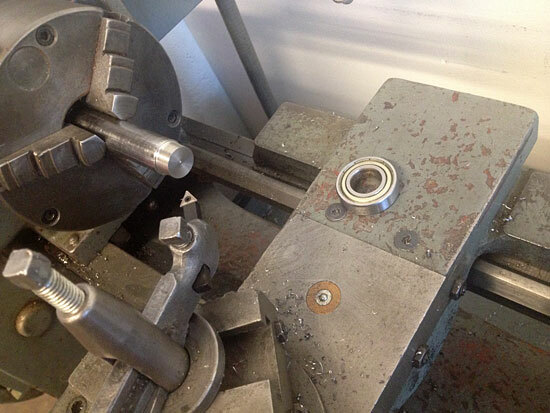 It’ll require a bit more work on the lathe though… hopefully we can get that figured out this week.